Please submit agenda items and any special requests at least 3 days in advance. There have been 5 reported burglaries since July 11 in a 2-3 block area in the Tangletown neighborhood. The burglaries occurred overnight between the hours of 10pm and 6am while the homeowners were asleep. In three incidents the burglar was unable to make entry into the home because the windows and doors were locked. Entry was made in the other burglaries through an unlocked window and in one case, pry marks were found on the side door. If you have any information that could lead to a suspect on these burglaries, please contact our property crimes investigator Sgt. Warnberg at (612) 673-5599. Lock your home, apartment, and garage doors and windows at all times, even if you are in the home or yard. Do not leave valuables in plain sight. This includes laptops, purses, wallets, keys, and anything else that may contain personal information. Remember: Treat your garage door opener as a key to your property. Record the make, model, and serial numbers on your valuables and keep in a safe place. This information can greatly assist in recovery of items. Photographs may also be of assistance. NOTE: You can register you bicycle for free with the City. This can help recover your bike if it is ever stolen. Secure windows and doors in homes and garages. Use deadbolt locks with at least a 1” throw on all exterior doors. Use 6” strike plates and 3” case-hardened screws that enter the studs behind the doorframe. Pin or add auxiliary locking devices to windows and sliding glass doors. Place an opaque material over garage windows. Install a solid core door with a deadbolt on garage service door. Secure overhead garage door tracks with a padlock. Consider installing security film on windows near or on doors to prevent access to door locks via breaking a window. Consider using timers on lights, radios and/or a TV when you are away from home. If you have a security system, use it even while at home. Dogs can be a deterrent as well. 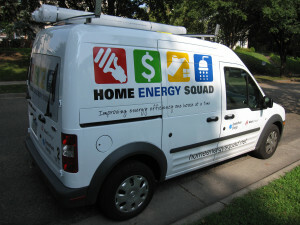 Know who is in your home; service providers and contractors should do background checks on their employees. Call 911 to report a burglary, whether or not you witness the burglary in progress. Note missing items, suspect description, tools, objects, or DNA evidence left at scene, possible time and date of occurrence, video surveillance, etc. See http://www.minneapolismn.gov/police/crimeprevention/index.htm for additional tips and resources. Call 911 on all suspicious activity including suspicious persons and vehicles loitering near homes and in alleyways, or unfamiliar noises such as breaking glass. You can request your block closure for free until July 19! After that, it costs $100! So act now! Minneapolis has already had 1,000 parties registered! We continue to be one of the most engaged communities in the nation and hope you will help us all continue this trend. NNO is a great way to meet your neighbors and improve area safety. This year we will be putting blocks with new event registrations, or where we haven’t had a registraiton in a long time, at the top of our list for team visits. These are investigators, lieutenants, commanders, and our top brass who visit many events throughout the night. We should have as many as 80 teams rolling around on August 2nd! As always our Crime Prevention Specialist and other officers from the precinct will be “party-hopping” too! Also for many years we’ve included Mall of America Nickelodeon Mystery Tickets which are always a hit with kids at NNO block parties, and this year is no different. Register your party today! Early voting has started for the Aug. 9 Primary Election. Although Minnesota voters already had a chance to participate in selecting each party’s presidential candidates in the caucuses held by the parties in March, there are other races on the primary ballot. Every seat in the state legislature is up for reelection this year, and several of those seats will be on primary ballots in order to decide which candidate will be moving forward for each major political party in the November General Election. Check out What’s on the ballot for more information about what contests are on the primary ballot, and to get a copy of your sample ballot. Voters can come downtown to cast an absentee ballot for the primary in-person. In-person voting is at the newly opened Early Vote Center located at 217 S. Third St, one block from City Hall. 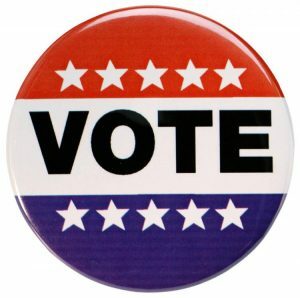 Early voting can be done Monday – Friday, from 8 a.m. until 4:30 p.m., through Monday, Aug. 8. The Early Vote Center will also be open the final two Saturdays before the primary, on July 30 and Aug. 6, from 9 a.m. – 4 p.m. Early in-person voting is convenient. It can be especially helpful for voters who need special accommodations, such as language support, by providing the extra time, attention and onsite resources more readily afforded at the Early Vote Center than across all polling places on Election Day. Voters who choose to vote early by mail just need to submit an absentee ballot application to have a ballot sent to them along with a postage paid envelope to return that ballot. This can be done by completing the application online or by completing a paper application and submitting by mail, email, fax, or in person to the Elections Office. Get downloadable forms available in 11 languages and full instructions for returning the application and mail ballots on the absentee voting section of vote.minneapolismn.gov. Several hundred more election judges are needed to serve in the City’s 132 polling places on Election Day, for the Aug. 9 Primary and the Nov. 8 General Election. Judges can work in the polls on either or both dates to help voters cast their ballots, and run polling place operations. Election judges are paid for their service, at $13.30 per hour beginning Aug. 1, and also receive pay for the required training they will complete prior to Election Day. You must be an eligible voter in Minnesota in order to serve as an election judge. The Elections & Voter Services website has more information about serving as a judge, and is also the place to go to get signed up by completing the online application. You can register online or in person at the Summer Festival (or at the park building). Youth sports including football and soccer are just some of the popular offerings through our parks. Through August, adults can also take advantage of a new Zumba class on Wednesday nights! Interested in saving money on your home or rental property? A Home Energy Squad visit is a great way to have a trusted expert come to your home and install free energy efficient materials, safety check your heating and water system and evaluate energy savings opportunities. This typically costs $70 and over 9,000 Minneapolis households have participated. 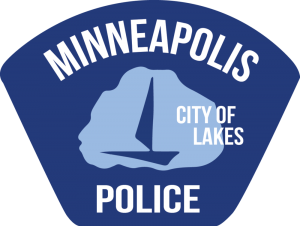 For a limited time, the City of Minneapolis is offering FREE visits for income qualified residents along with 0% financing for insulation and/or air sealing upgrades. To learn more call 612 335 5874 or visit mncee.org/hes-mpls. Registration is now open for the 2016 Minnehaha Creek Cleanup on Sunday, July 24! RSVP here. This entry was posted in Agenda, Green Living, Minnehaha Creek, Park, Safety, Summer Festival on July 19, 2016 by anacoordinator.